Win – win! Wonderful vacations are created by an Owner Vacation Rental Property at popular locations all around the world, and many can buy and afford their own beautiful recreational property or second home – all thanks to those experienced travelers who have awesome holidays. Such is the case with our spectacular Best Sun Peaks condo or our Trapper's Landing townhouse at Canada’s 2nd largest and most popular family friendly all season ski resort - Sun Peaks Resort in British Columbia, Canada. We loved the resort and wanted to be able to enjoy the many family-friendly activities that are available year-round (see Sun Peaks summer activities or winter activities for examples) and we absolutely fell in love with everything about the Stone’s Throw condo. But with our limited vacation time, as well as the high cost of real estate in Sun Peaks and elsewhere in the world, we knew it was out of reach. That is, however, until we purchased our wonderful piece of Sun Peaks real estate and listed it as an Owner Vacation Rental Property. 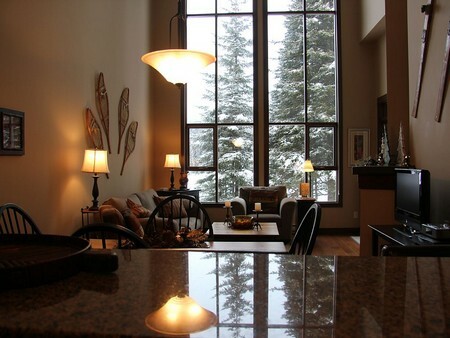 Our condo is listed on several different vacation rental websites now, but our website now gives our best the best options and the cheapest prices on our as well as other owner vacation rental properties here in Sun Peaks. - Various subscription levels and add-on features for special promotions (and we have found that any upgrade has quickly paid for itself! - We have had so much success with our listing that we are even helping others to set up their vacation properties with great success as well. - No added surcharge or booking fees to the rental rates like the other sites – what you see is what you pay. View other reasons to search for a vacation rental property for your next vacation. Still a little unsure about how or if to list your owner vacation rental property on VRBO?